On Wednesday, April 6, the Downtown Farmers’ Market will commence its ninth season on Parrott Street between E. 14th Street and Washington Avenue. 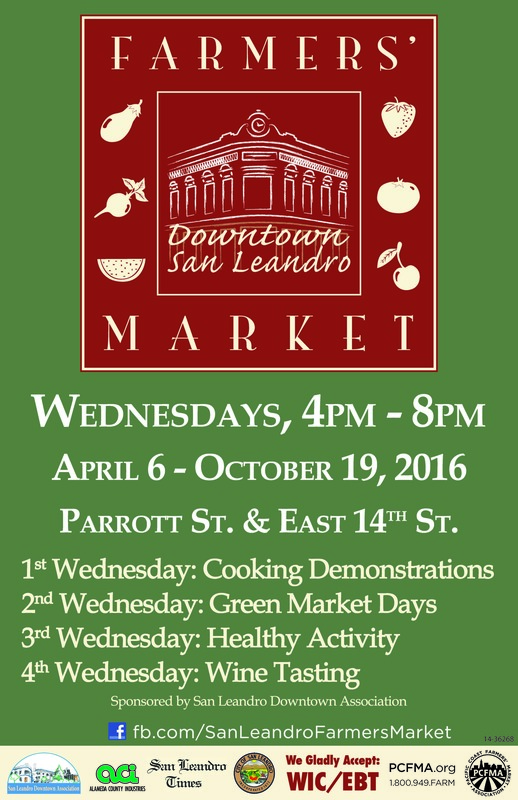 The Farmers’ Market will take place every Wednesday from 4:00 PM until 8:00 PM through October 19, 2016. The market has proven to be a hugely successful event every year, generating interest and activity in Downtown San Leandro with an average of 2,500 visitors each week. A grand opening ceremony will take place at the opening market at 5:30 PM.